Do your Due Diligence and Check Company Reviews - MoveStar Inc. When it comes to hiring a mover, it pays to do your research. Anyone who has taken the time to read online reviews of moving companies knows that major differences exist between them. In the days before the internet, the only ways to find out which company to hire was to call around, ask friends for recommendations, take a chance, and hope for the best. In addition to checking out the moving company website, the Better Business Bureau, Angie’s List, Yelp, Facebook and other social media sites can be valuable resources where you can find out what to expect before you hire. This information can save you money – and possibly heartbreak. 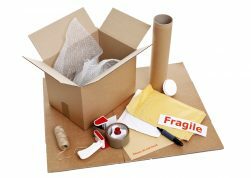 Not only can you determine what services you need (e.g., packing supplies, professional packing, storage, transporting fragile items, etc. 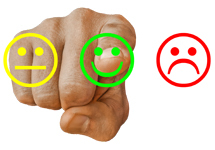 ), but you can find out each moving company’s reputation through first-hand, customer experience. 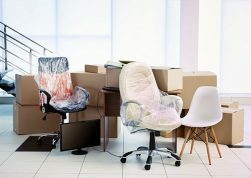 When it comes to movers, you most often get what you pay for. Entrusting your valuables to just anyone to save a few dollars may well cost you more in the end. Companies who hire help but don’t invest time and resources training their employees in careful handling can put your belongings at risk. Most companies provide a certain amount of insurance and owners can buy additional protection, but will it replace your grandmother’s precious lamp if it breaks? Will it take out the ding in your coffee table or the scratch across your favorite painting? Provisions in your contract, no matter how many, cannot restore your belongings to their original condition. Accidents do happen, but the key is to make every effort to prevent them, as much as humanly possible. Pack carefully, and read the moving company’s reviews, both positive and negative. Does the company respond to customer concerns? Were disputes resolved? And how? This added information will give you confidence as well as insights into the movers you hire. MoveStar employees are off-duty firefighter movers. As firemen, they already care about you and your wellbeing. Their primary jobs are to preserve and protect, and they provide the same care to your treasures. MoveStar was ranked one of the top moving companies in the Dallas-Fort Worth area by “The Dallas A-List Awards,” based on more then 38,000 votes from North Texas experts. To get a price quote and to find out more about MoveStar and its services, call 972-716-9911 today or visit www.movestarinc.com.